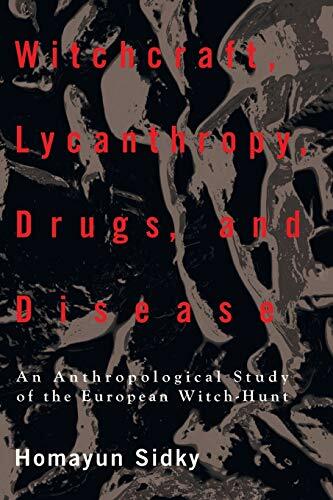 Long before the political mass-murders witnessed in the present century, western Europe experienced another kind of holocaust--the witch-hunts of the early modern period. Condemned of flying through the air, changing into animals, and worshipping the Devil, over a hundred thousand people were brutally tortured, systematically maimed and burned alive. Why did these persecutions take place? Was it superstition, irrationality, or mass delusion that led to the witch-hunts? This study seeks explanation in the tangible actions of human actors and their worldly circumstances. The approach taken is anthropological; inferences are grounded on a wide spectrum of variables, ranging from the political and ideological practices used to mystify earthly affairs, to the logical structure of witch-beliefs, torture technology, and the role of psychotropic drugs and epidemic diseases. H. Sidky is an anthropologist specializing in cultural ecology and the anthropology of religion. He is currently affiliated with the Departments of Sociology and Anthropology, Miami University, Ohio. His articles have appeared in many journals and he is the author of Hunza: An Ethnographic Outline (1995) and Irrigation and State Formation in Hunza (1996).